Super nice beach cottage very close to the beach! 3BR/3BA nicely upgraded! Walk to the beach about 250 yards! 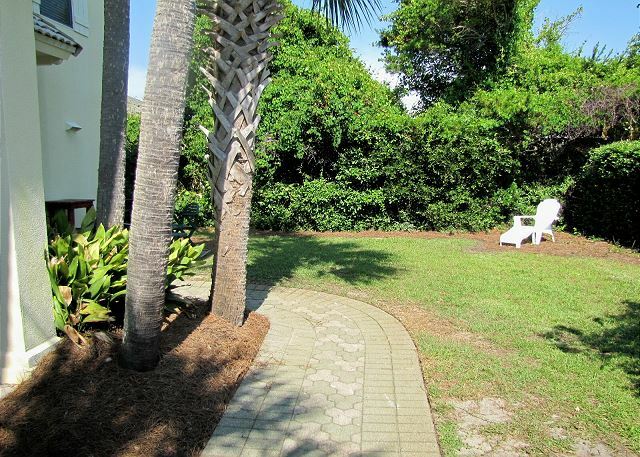 Walk to this private beach cabana for Emerald Shores, just a short 3 to 5 minute walk! 3BR/3BA cottage in Emerald Shores! 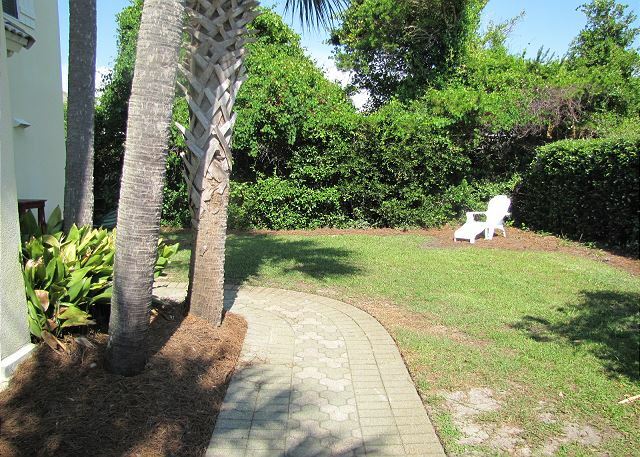 This home is sure to please and is in the cul-de-sac closest to the beach! Big 60" Samsung Smart TV in the Living Room! Walk to our neighborhood's private beach cabana! 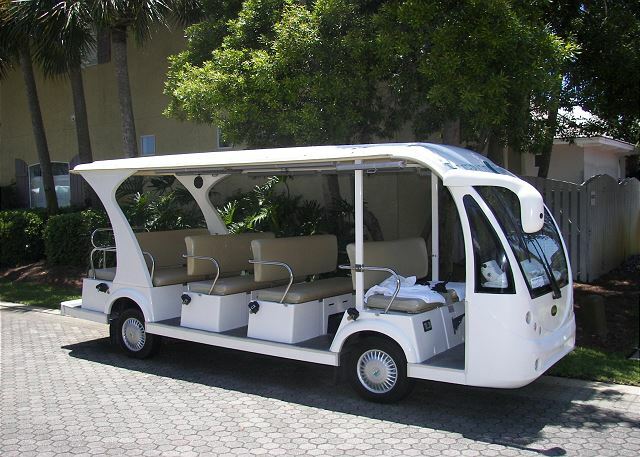 Take our wagons to the beach too! Yes, there are 2! 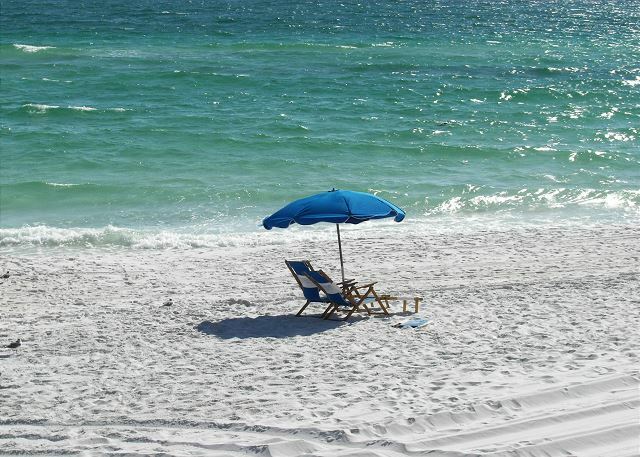 Blue skies, bright white soft sand, gentle waves, comfortable chair and cold drink... don't you want to come RIGHT NOW?! 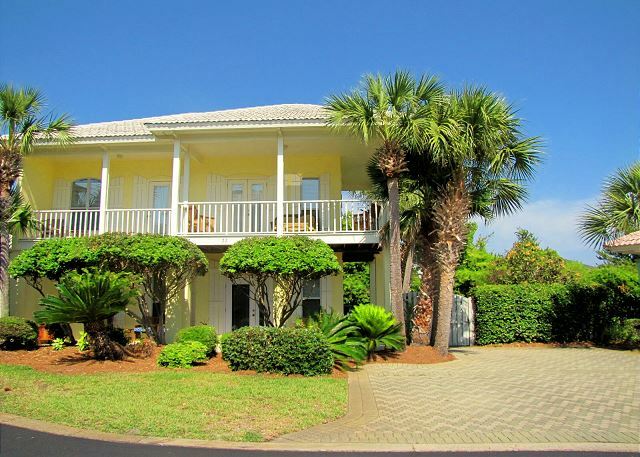 Valencia is a three bedroom, three bath home on the 'beach end' of Emerald Shores. 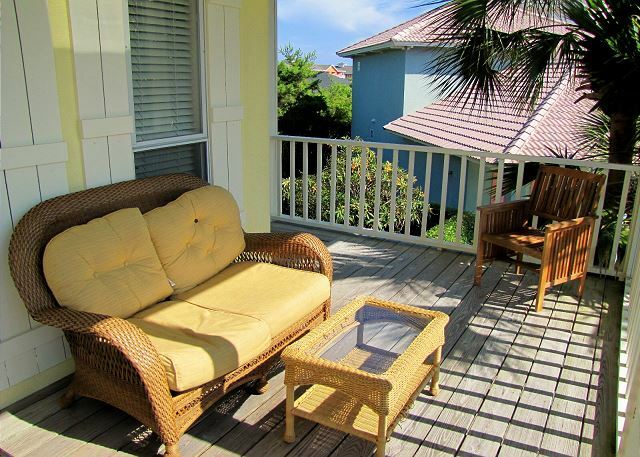 This spacious, two story house is beautifully furnished and comfortably sleeps 10 people. Renters must be at least 25 years of old or be accompanied by a parent remaining onsite the whole visit. No pets and no smokers please! The first floor is big and spacious and has the kitchen, living room, and dining room all open to each other making it easy for everyone to be together at the same time! Make wonderful memories here! 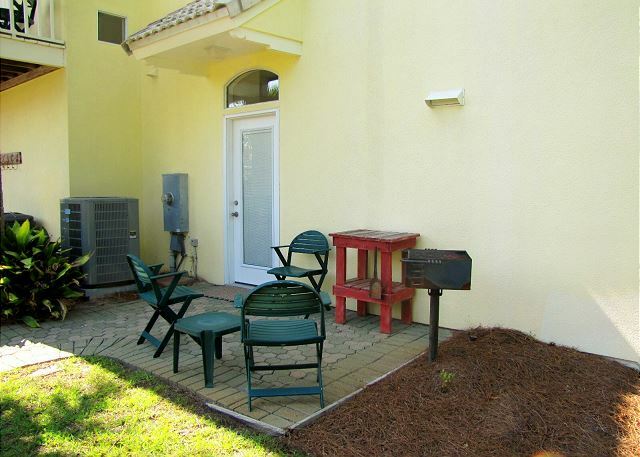 (2)Fenced in side yard with patio, picnic table and grill to cook that freshly caught seafood. 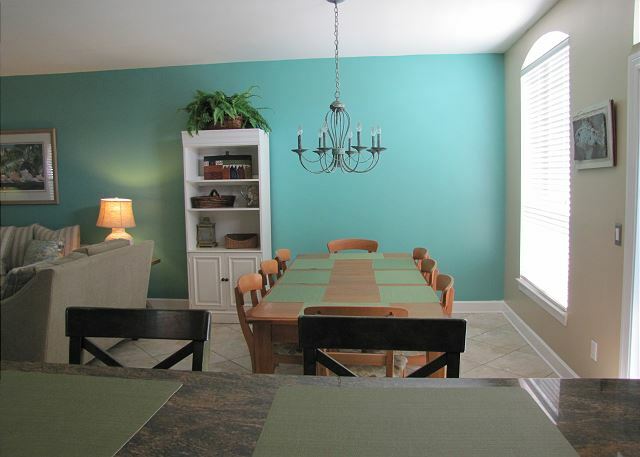 (3) Roomy living room/dining room, newly decorated. (5) Bonus play area at top of steps on second floor, with TV and day bed with trundle for extra sleeping. Valencia has all the comforts of home, including a washer and dryer, a roomy, fully equipped kitchen with breakfast bar, and a propane grill. All bedrooms have TVs, fans, and roomy closets. SPECIFICS - King in Master, Queen in Bedroom 2, Twins in bedroom 3. Master bedroom and bedroom 2 equipped with adjustable Select Comfort mattress. 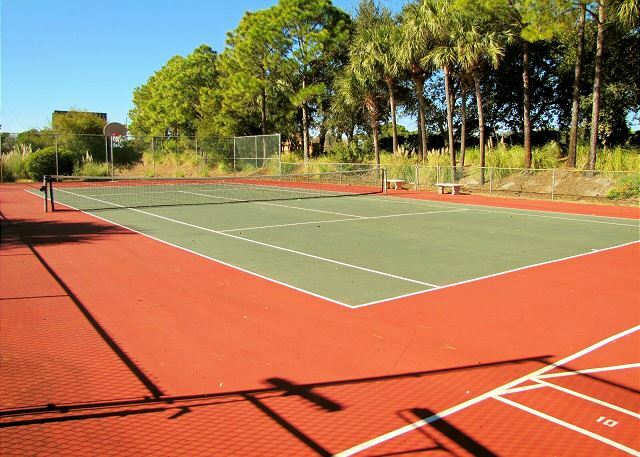 Emerald Shores is a private, gated community with two heated swimming pools, tennis and basketball courts, seasonal tram, private beach access with its own beach pavilion, chairs and umbrellas, bathroom and showers. 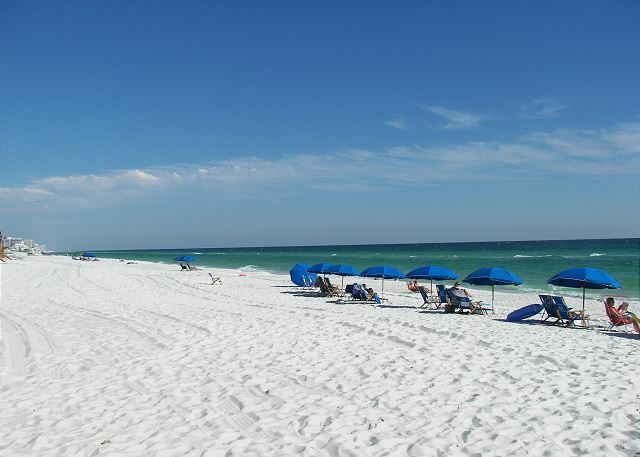 Centrally located in Destin between the Destin Commons Mall and the Silver Sands Designer Outlet Mall on the Beach side of 98. Walk to a few restaurants and bars along the beach! Lots of water sports in the area too! Rent jet skis, canoes, etc. close by! 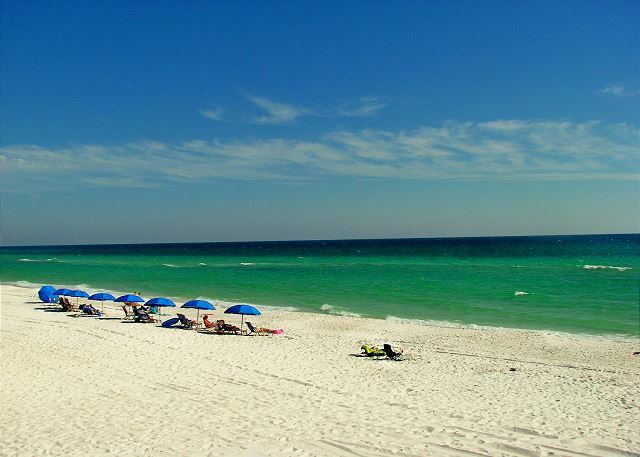 Enjoy your stay in beautiful Destin! Offered by Crystal Waters Vacations! We manage other rentals in the area too! Please call or email us today! 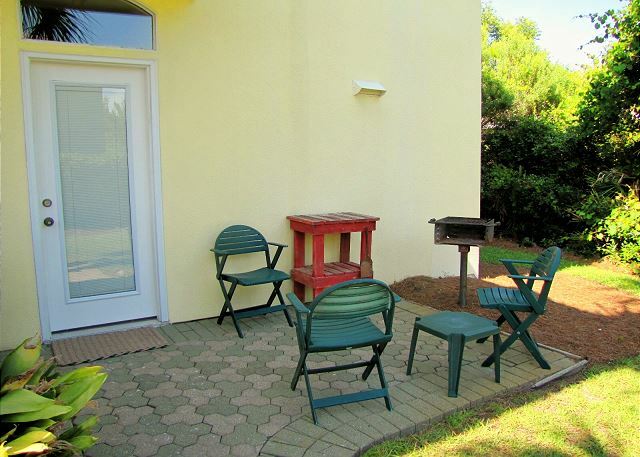 Wonderful experience wonderful location and amazing rental home just perfect for our family! Hello Luff Family, We're happy to hear your stay at Valencia was a memorable one! We look forward to seeing you again. Hi Kenneth, Thank you for the perfect 5 Star Review of your stay at Valencia. It's nice to hear you enjoyed this years vacation the best out of the last four years! Keep coming back! 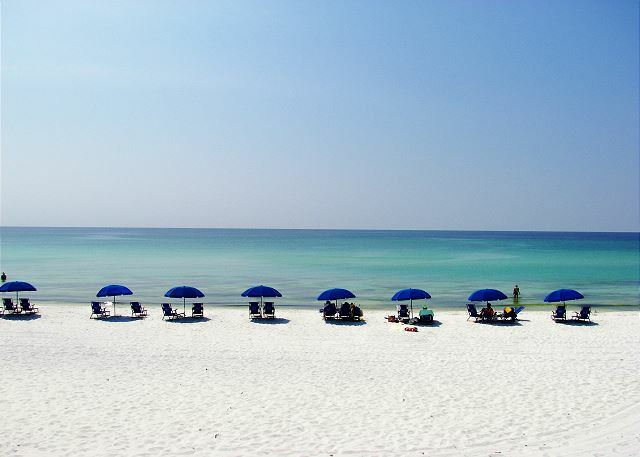 We would love to reserve Valencia for your next trip to Destin. Hi Deidra, Glad to hear you enjoyed your stay at Valencia! We hope you'll come back and stay with us again real soon. 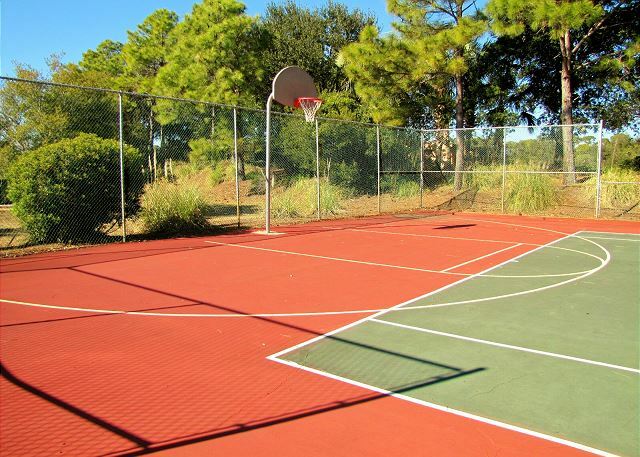 Valencia is a beautiful home well suited for multiple families with children. We had a group of 9 stay at the house with four children ranging from 1 to 14. The house is beautifully furnished and impeccably maintained. We went to the beach daily so our crew took several showers a day and the water heater never missed a beat, really impressed! The wifi was also robust enough to handle all our devices during afternoon down time. We cooked at home the entire week and found the kitchen to be amply outfitted with plenty of pots, pans and utensils. There was even a blender, coffee pot and Keurig. We did buy some paper products to help with easy clean up though, but they certainly weren't needed. We felt that the community was safe, very quiet (and we stayed during the busy season) and had an easy walk, even for our toddler, to the beach. We began planning our vacation about 6 months in advance and the staff at Crystal Waters was helpful, kind and informative every step of the way. We would absolutely stay there again! We had an amazing BIG FAMILY vacation to the beach! Hi Edith, It sounds like your family had a fantastic time at Valencia! We're happy to hear it..come back and see us again next summer! We recently stayed at Valencia for the second time and we loved it! There were 9 of us...7 adults and 2 littles...and it was perfect for us. 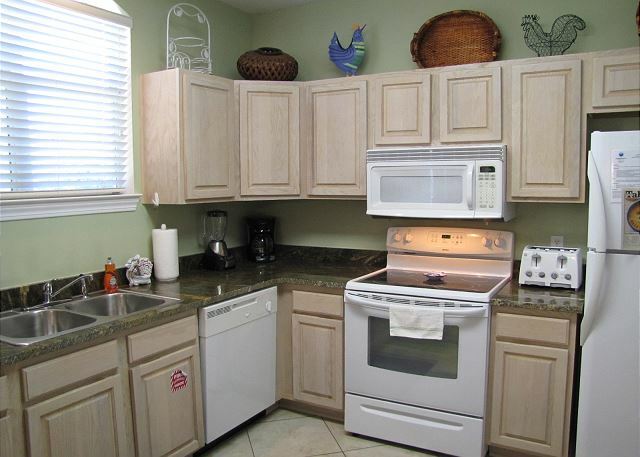 Its beautifully decorated and well-stocked when it comes to the kitchen, linens and towels. We put the wagons to good use for the short walk to the beach every day. The pool is also close to the house. The only issue we had was with the didnt get hot enough to cook our hamburgers. Not that big of a deal...we just finished them on the stove top. We love staying at Valencia and hope to bring our family back for years to come! This is a great place to stay on vacation. This is a great to house to stay in while on vacation. A short walk to the beach and the community pool. A very clean house. Great for our family of 6. This is a great house to stay in. A short walk to the beach and community pool. Very convenient for shopping and eating out. My family loved it. It was very clean. No complaints. Glad you enjoyed your stay at Valencia! 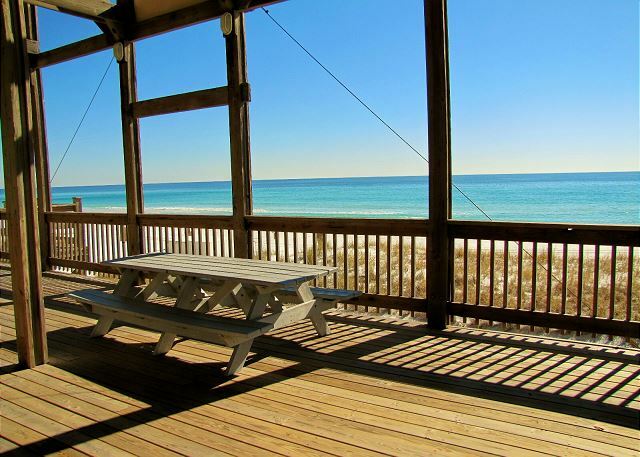 It is a super nice home with lots of upgrades and very close to the beach and all Destin activities! We do our best to keep it clean and comfortable for everyone! We didn't know what to expect until we got there. The house was beautiful and the gated community was very nice and private . The walk to the beach was a nice short walk . This was the nicest place my family has ever stayed at . I recommend this for anybody that wants a nice quite place to get away . It is very affordable and close to restaurants . I want to thank you for the opportunity to stay at this location . So glad you enjoyed your stay at Valencia! 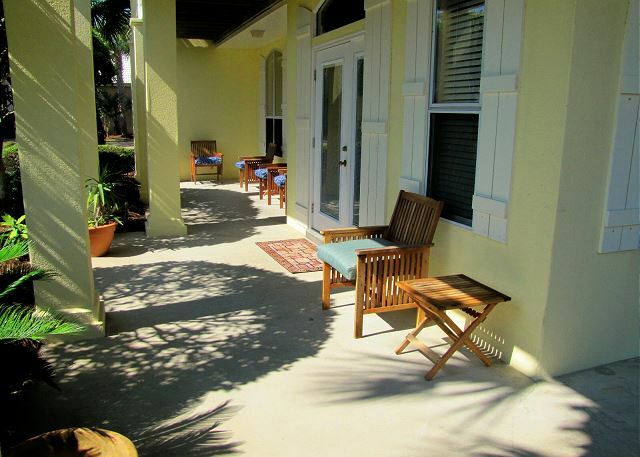 It is a super nice home in a quiet and gated neighborhood with the best amenities along our stretch of beach! The location can't be beat either! We are 5 women who have known each other since our days at Decatur High in Decatur, Ga. We go somewhere beachy every year. Loved the spaciousness of the house. The kitchen was adequately stocked with pots and pans. The bathrooms had tons of towels! 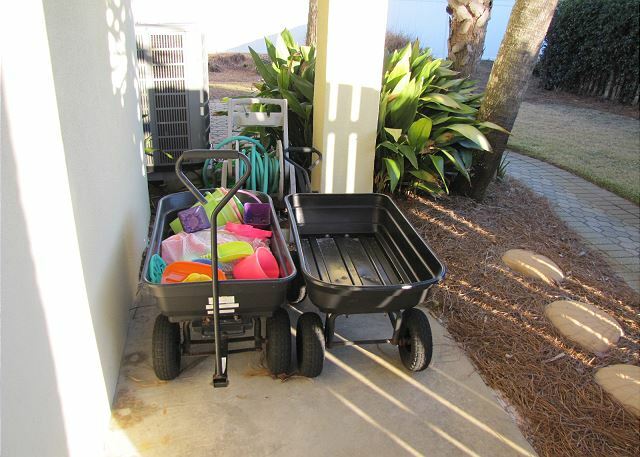 The five minute walk to the beach is thru a parking lot but if you are pulling a wagon(supplied by the house) to the beach it is helpful. The AC works great. No view of the beach..boohoo. There were some eating utensils that looked like they had been used and put back in the drawer, no biggie..just put them in the dishwasher. So glad you enjoyed your stay at Valencia. It is a super nice home very close to the beach! Spacious and updated too! We do our best to keep everything clean and comfortable for everyone. People sometimes do put things back in the drawers that may not be completely cleaned. So sorry that happened but happy you found it easy to remedy! Thanks again! This house was very spacious. It also included anything you could possibly need. So glad you enjoyed your stay at Valencia! It is a super nice home with lots of room and nice upgrades! The house is great and the location is very handy to the beach. It was just a short walk to the pool too. We had a great week. So glad you enjoyed your stay at Valencia! It really is a nice home with the best location! Great place and easy to work with. Glad you enjoyed your stay at Valencia! 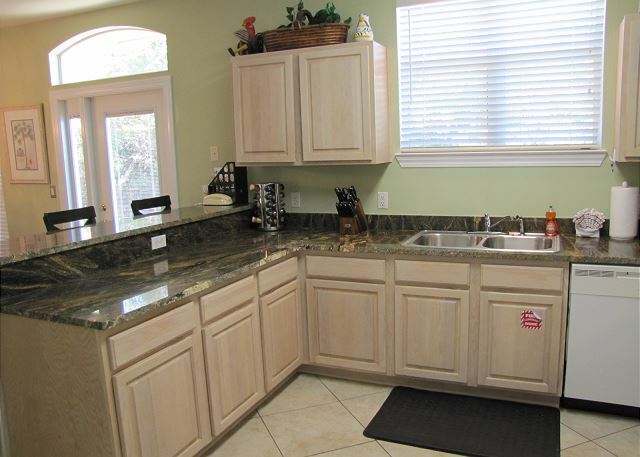 It is a comfortable, spacious home with nice upgrades and all the comforts of home! Awesome, had a great time, beautiful weather, nice house, super clean! charming neighborhood. This is the 2nd time we've stayed in Valencia and we love it. It's a great location and has room for our family. We love the new updates done since our last visit. So glad you enjoyed your stay at Valencia! We do our best to keep it clean and comfortable for everyone. 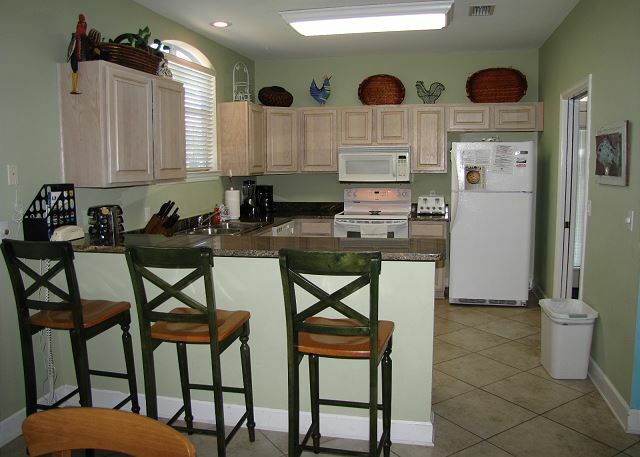 It is a super nice home so very close to the beach in a gated neighborhood with the best amenities! So glad you enjoyed your stay in Valencia in Emerald Shores! It is a special home with lots of upgrades. Our owners pride themselves in keeping it updated and comfortable for everyone. Glad you liked Valencia! It is a super nice home with lots of upgrades and very close to the beach and pools! We really enjoyed are stay. The close access to the beach was AWESOME; Private beach access made everything so easy! So glad you enjoyed your stay at Valencia! We do our best to keep it clean, updated, and comfortable for everyone. 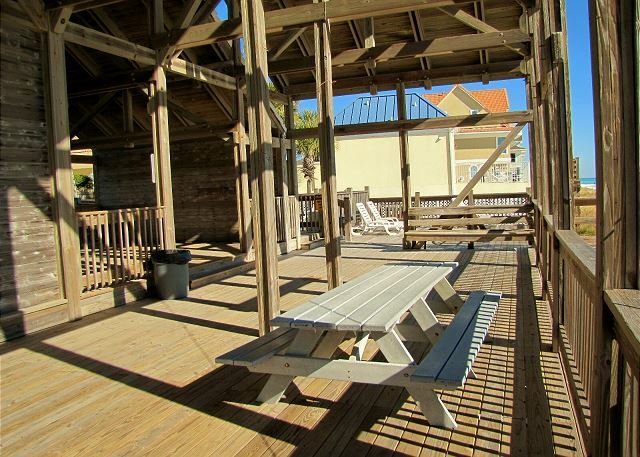 It is a special home with the best neighborhood amenities including a private beach cabana right on the beach! This is a wonderful property! 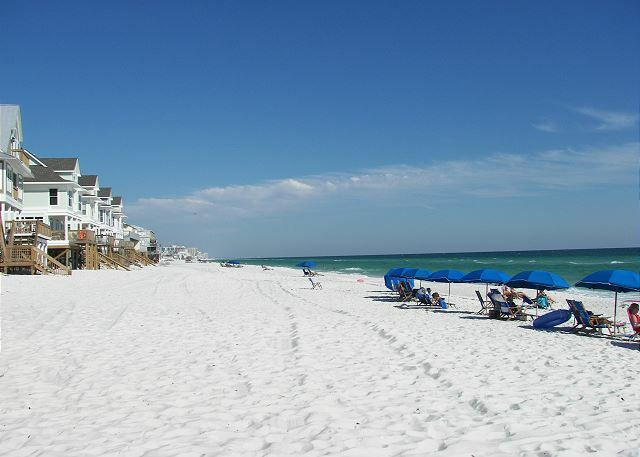 We have been staying in condos the last few trips down to Destin. This time we opted for a house. It is a little further from the beach (not by much though). However, the facilities at the beach are outstanding. There is a large covered area with picnic tables and showers. 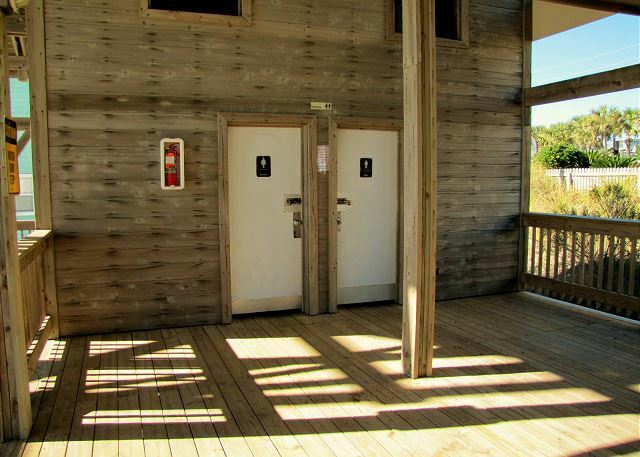 Most importantly though, are the bathrooms! What a great feature. This will be the place that we rent from now on. So glad you enjoyed your stay at Valencia! 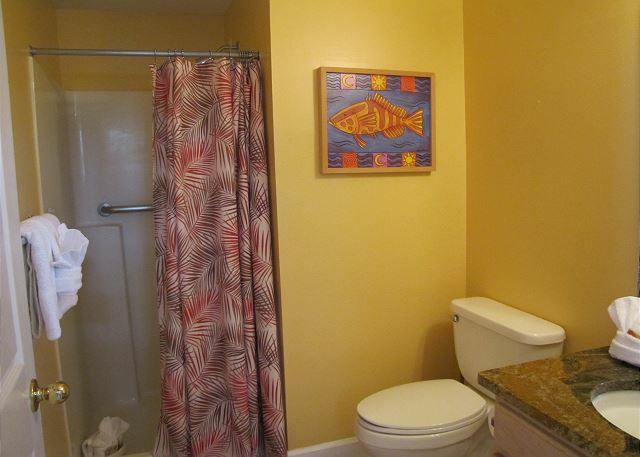 It is truly a nice, upgraded home very close to the beach. 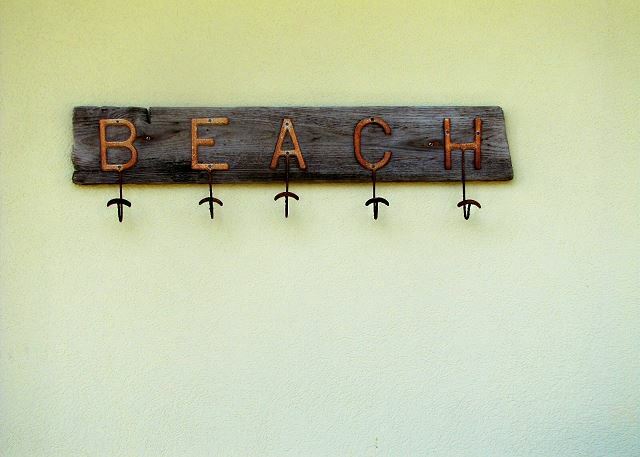 The amenities are the best along our stretch of beach too! The owners take great pride in keeping it updated and we do our best to keep it clean and comfortable! I suffered a fall and was unable to make the trip, but the friends that we were taking the trip with, loved it! Hopefully, I will be able to make the trip sometime in the near future and look forward to spending a week there. So glad they all enjoyed Valencia! 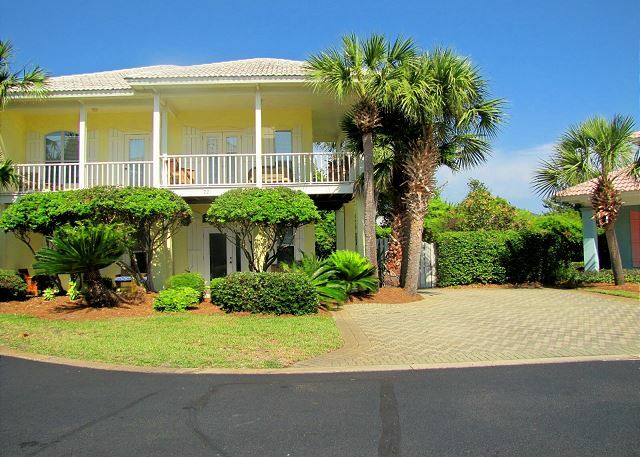 It is a special home with lots of upgrades and very close to the private beach access! Valencia was just as described and we enjoyed our stay there immensely. We traded beachfront and ocean view for the amenities offered by the neighborhood of Emerald Shores and were glad we did. The walk to the beach was so easy and having the cabana right there was handy. Our whole family agreed that we will definitely stay there again. So glad you enjoyed your stay at Valencia! 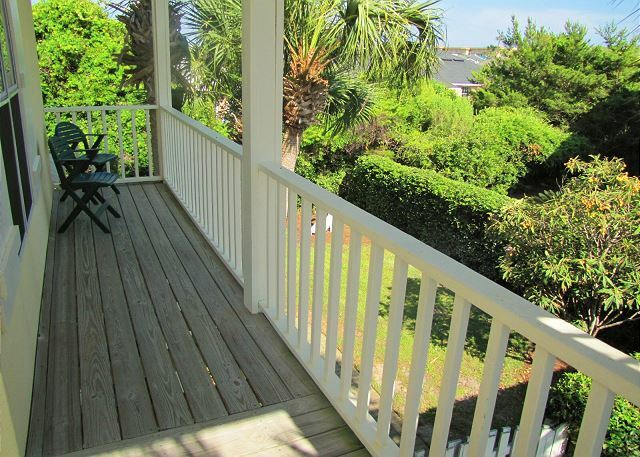 It is truly a nice home in the best vacation neighborhood along our stretch of beach! 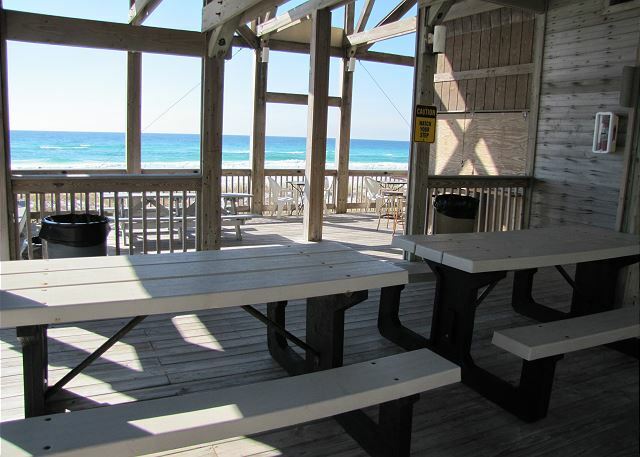 The amenities including the private beach cabana right on the beach are the best in town! 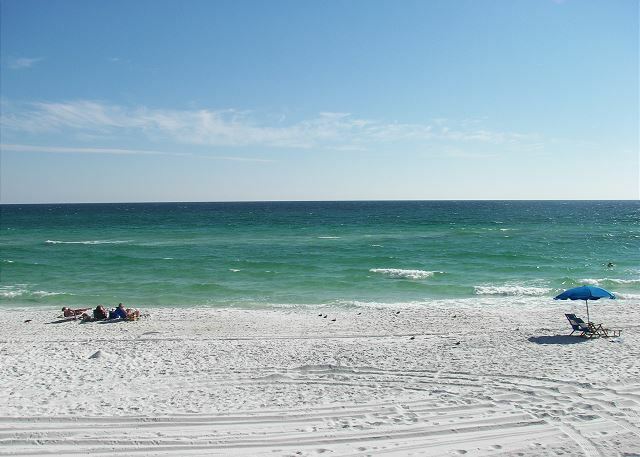 So glad you enjoyed your stay at Valencia in Emerald Shores in Destin. 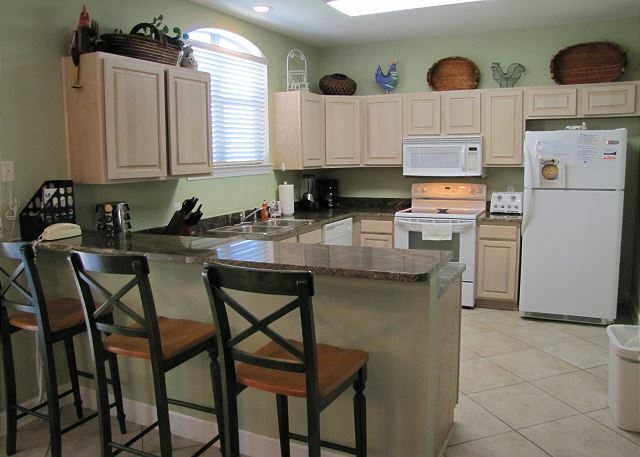 It is a nice home with nice upgrades and very close to the beach! Nice property, close to the beach and pool. Second time in this property. Fair price, Clean and modern. So happy you enjoyed your stay at Valencia and keep coming back! We do our best to keep it up to date, clean, and comfortable for everyone. Very close to the beach and pools too! Beautiful home just steps away from a private home-owners beach. Great for kids. Would definitely come back. So happy you enjoyed your stay at Valencia in Emerald Shores. 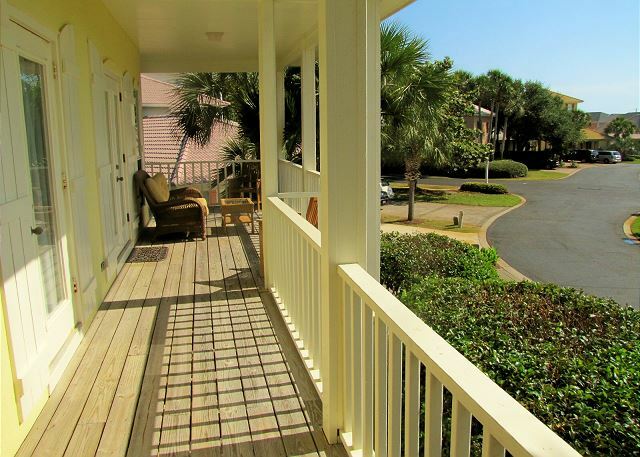 it is a special, well kept home in the gated neighborhood of Emerald Shores with the best amenities along our stretch of beach! We enjoyed our rental experience, overall. We especially appreciated the cooperative attitude of the Crystal Waters staff---they were very helpful and accommodating. The Valencia was generally cleaned and well maintained; however, we felt the hard surface floors could have been cleaner. We enjoyed going to the beach (our favorite activity). The wagon came in handy in toting our stuff to and from the beach. We also enjoyed eating the wonderful sea food (Pompano Joes, Kenny D's) and enjoyed eating at McGuires Irish Pub. We would definitely recommend The Valencia to our friends abd relatives. So glad you enjoyed your stay at Valencia! 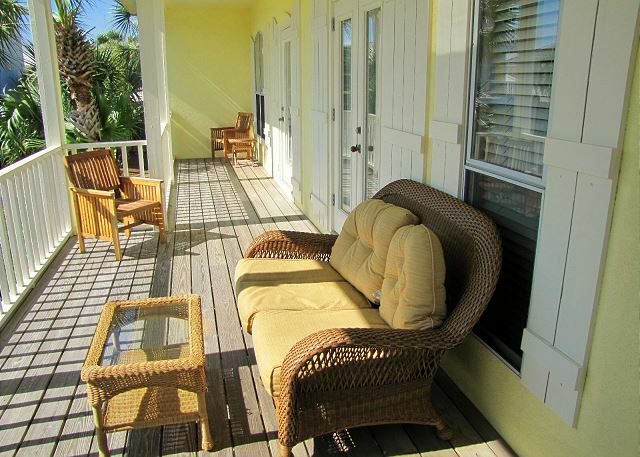 It is a very nice property in a gated neighborhood with the best amenities along our stretch of beach! 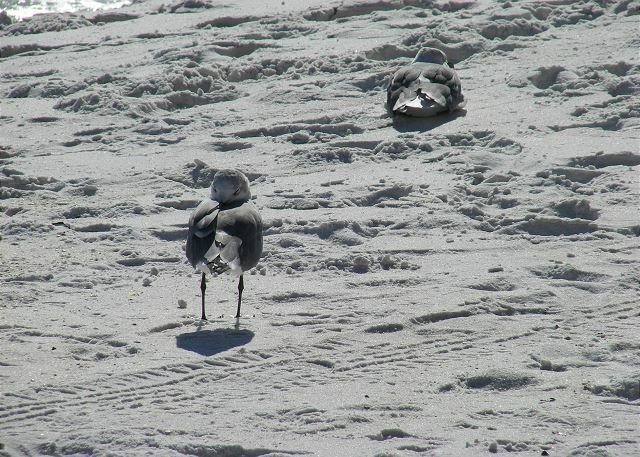 It is in a cul de sac closest to the beach too!